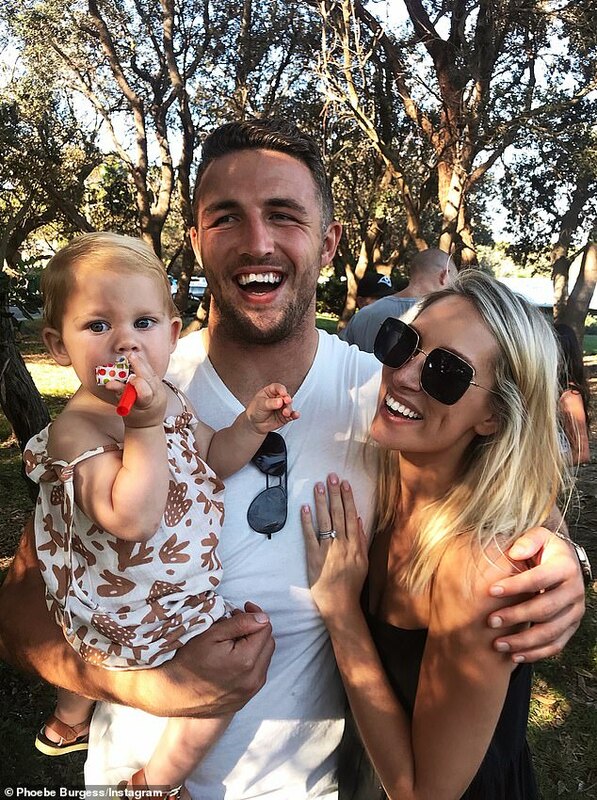 NRL star Sam Burgess spent Boxing Day on an exclusive Sydney Harbour party boat with a group of revellers, after spending Christmas Day without wife Phoebe and his his newborn baby boy. The 30-year-old was pictured chatting with a young blonde woman during the afternoon event, a day after Phoebe skipped a Burgess family Christmas Day event. ‘He looked happy, seemed to be having a good time,’ the observer said. ‘I noticed he wasn’t with his wife, but didn’t think much of it. The Island features a licensed ‘bespoke’ bar alongside VIP banquettes, according to promotional material. ‘A venue unrivaled to any on-water location, and hospitality landscape, opening up the harbour to local and international guests,’ its website states. ‘With The Island’s professional crew, guests will be escorted to the venue via our private 48-seat water taxi and courtesy boats. Water taxis to The Island leave from Double Bay wharf. Phoebe gave birth to the couple’s second child William ‘Billy’ Mark Burgess on December 9, announcing the news on Instagram two days later with the hashtag ‘FamilyofFour’. 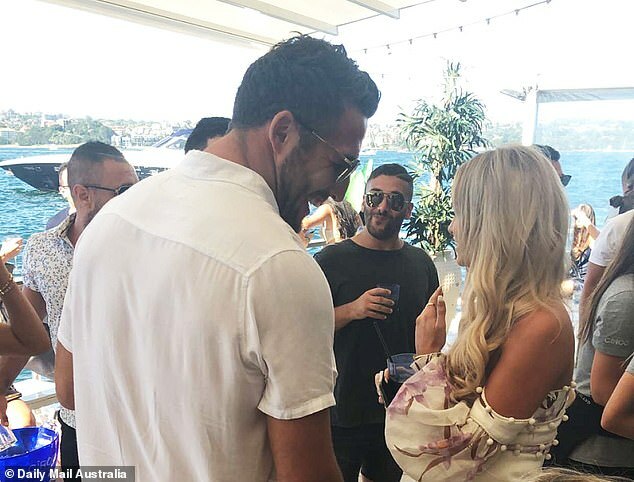 Phoebe, Billy and Poppy were not with Sam and his 26-year-old twin brothers, fellow Souths footballers Tom and George, for the Burgess family Christmas Day celebration at the Watsons Bay Boutique Hotel. 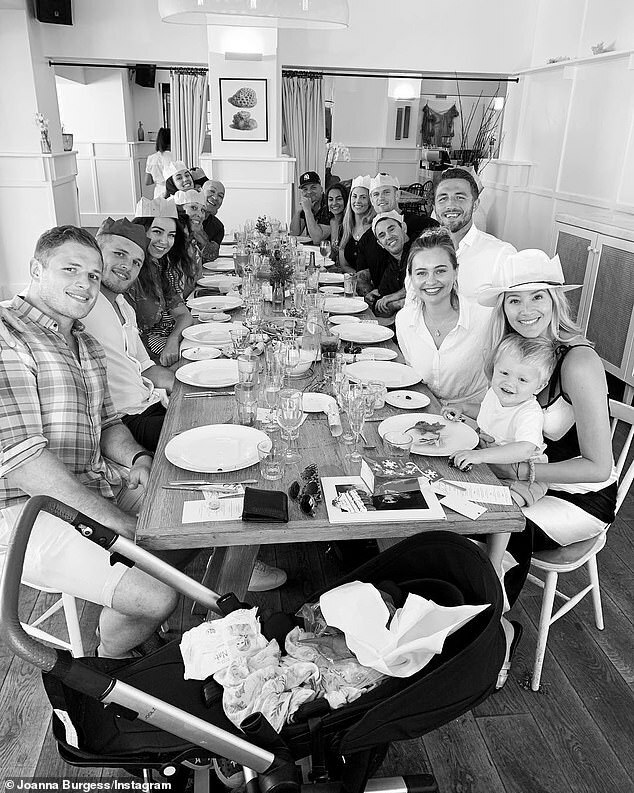 George’s wife Joanna shared a picture on Instagram showing the rest of the extended family, including the twins, older brother Luke and their mother Julie. The picture also showed George and Joanna’s one-year-old son Boston, Tom’s girlfriend Tahlia Giumelli and NSW State of Origin coach Brad Fittler. Daily Mail Australia photographed Burgess leaving his marital home at Maroubra in Sydney’s eastern suburbs carrying three overnight bags on Wednesday afternoon. 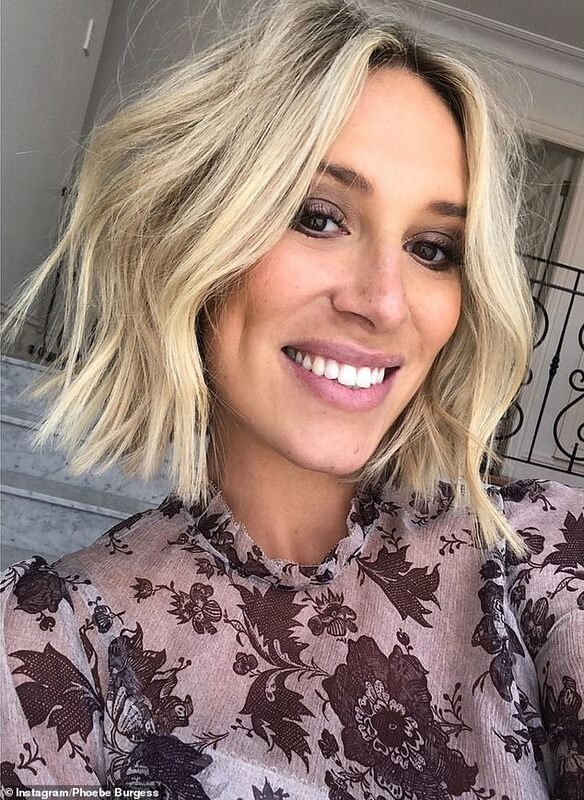 Supporters of the journalist have been rallying behind her on Instagram after news of her marriage their split made headlines.